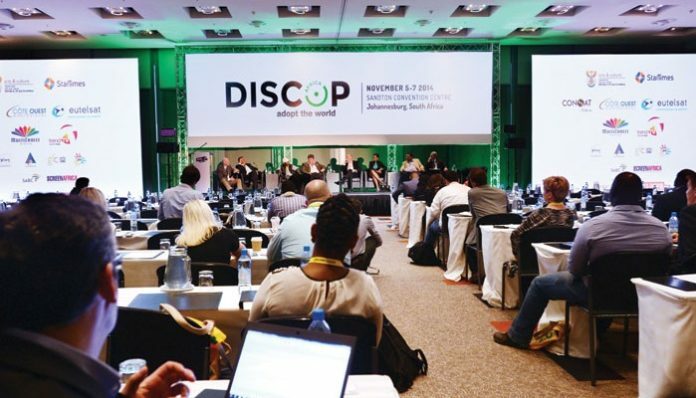 Wrapping up their seventh Johannesburg edition of the DISCOP content, adaptation rights and project markets, organisers announced a steady growth in year-on-year attendance – 1188 delegates representing 783 companies from 69 countries in 2018 versus 1155 delegates representing 772 companies from 63 countries in 2017. Despite economic turbulences hurting Sub-Saharan Africa’s entertainment and media marketplace, 487 independent film, television, digital and animated content producers from 35 Sub-Saharan African countries attended the 3-day market – twice as many as last year – proving the importance of homegrown content for the 156 African broadcasters, premium cable channels and other content delivery platforms who came to Johannesburg for the continent’s leading content production and distribution industries gathering. “For DISCOP to remain relevant in these fast-moving ecospheres, we must constantly pursue innovative services that provide more value to our delegates. 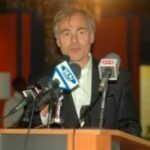 For us there could be no greater value than empowering young and creative producers from Africa and providing them with a business platform that meets their true needs,” said Patrick Zuchowicki, CEO of DISCOP Markets. Many challenges have faced the industry, with more platforms, pay TV operators, and broadcasters than ever competing for the same revenue sources, there have been a number of casualties throughout the year. However, there is still overall confidence in the upwards growth trajectory of the sector across Africa. The increased competition amongst broadcasters, SVOD, OTT and mobile platforms has been a boon for African producers who have seen more demand, and hence higher prices being paid for content made in Africa. This year’s DISCOP Johannesburg also saw a number of major announcements taking place, with a focus on co-productions and international deals. Global Content Hub by Zee announced a co-production deal with Nigerian agency MACE and Multimedia Group, a broadcaster from Ghana whose channels Joy Prime and Adom TV will air the new drama series Deceptive Measures. The series is currently in production and is a remake of popular Indian series Pavitra Rishta, one of the most successful ever Indian drama series with both Indian and international audiences. The filming takes place across Kenya, Ghana and Nigeria and the first season will have 52 one-hour episodes. Popular actors from Kenya, Ghana and Nigeria will star in the series such as Michael Godson, Joy Jasmin Aygeman (Adomaa) and other actors from the 3 countries. America’s GRB studios and South Africa’s Black TV announced a deal that will see will GRB studios distributing more than 200 hours of programming per week to Black TV. The deal was announced in a press statement by Mr. Benz at the start of DISCOP Johannesburg 2018. The partnership is key to Black TV’s launch and will immediately provide the service with hundreds of hours of programming. Future plans include co-producing original content for the platform. Additionally, THE CANAL+ Group announced the launch of THEMA DISTRIBUTION, a new business activity of CANAL+ INTERNATIONAL, in charge of the distribution and sale of audiovisual content in Africa and internationally. THEMA DISTRIBUTION will focus on the development of African content on all media, and in particular content produced or acquired by Group channels. Indeed, CANAL+ channels and A+ in Africa are playing a key role in the African production and co‑production of a number of programs — including movies, African TV series and short comedy TV series — that THEMA DISTRIBUTION will now spread throughout the continent and beyond. Further exciting news for the region was the intense interest in the African adaption of Ugly Betty after the announcement that KNOWN ENTERTAINMENT ASSOCIATES has bought the rights from RCN, Columbia’s Public Broadcaster. Ugly Betty is considered as the one of the world’s leading television properties.